Insight, Inc (New York) - Book Appointment Online! 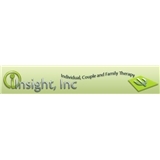 Insight Inc offers psychotherapy services tailored to suit the needs of individuals, couples and families. We have offices conviniently located in New York and New Jersey - so you get to choose! By working with our experienced and compassionate clinicians, you will not only gain insight into your problems, but also develop better coping skills to handle them. We will help your life to its fullest. We work with Aetna, Metro Plus, Healthfirst, Amerigroup and FidelisCare insurance networks. We also accept out of network patients from G.H.I and Cigna. This was my first time speaking with a therapist. He was very warm from the moment he introduced himself to me. He allowed me to get my thoughts out and listened intently. He answered any and all questions I had, including ones about insurance. I am eager to continue my sessions with him and look forward to meeting with him again next week!